Providing you the best range of automatic form fill seal machine and powder filling machine with effective & timely delivery. 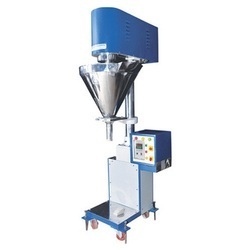 A vertical Form Fill & Seal machine for producing ¾ side or centre sealed sachet ,This machine handles all types of food material like chips, wafers, snacks, as well powder/ granules & liquid like hair oil or shampoos, etc. Sealing process very easy & fast. High accuracy on this Powder Filling Packing Machine is achieved due to accurate design of Auger & every sophisticated clutch break system. Auger Filler works on a high speed screw dosing principle which can be easily synchronized. All the contact parts of Auger Filler are made of stainless steel which makes parts corrosion-resistant in addition to longer life. 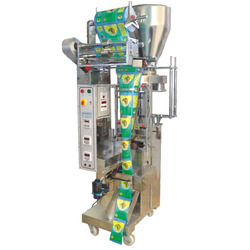 Auger Filler can be used as a individual filling machine for hand filling operation. Volume of filler powder can be easily adjusted by preset electronic counter system.